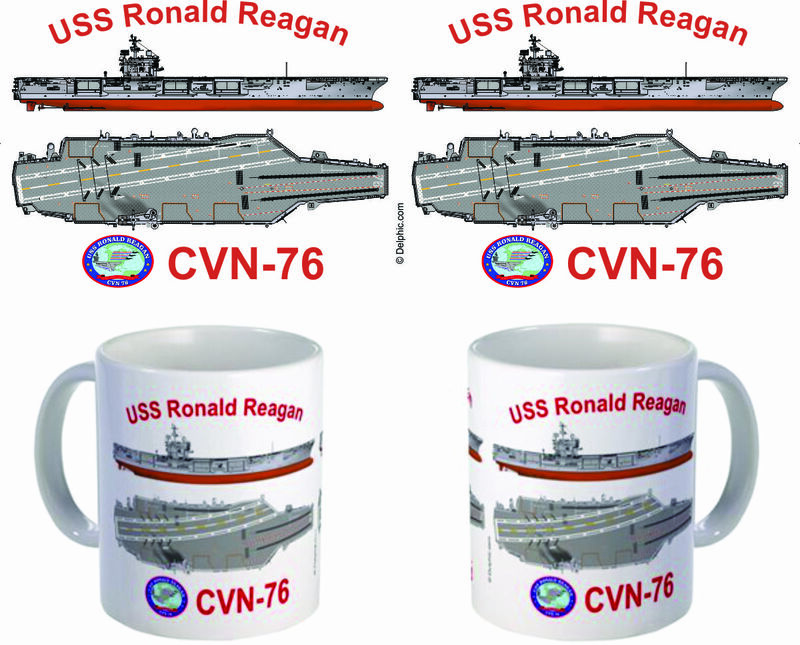 The top and side view of the USS Reagan (CVN-76). 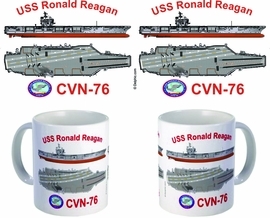 Our mugs are created with the latest state of the art printing methods. Unlike many other mugs available today, the process that we use provides extremely bright, color accurate and stable graphics. These beautiful multiple use mugs are dishwasher and microwave safe.